Hey what’s up. 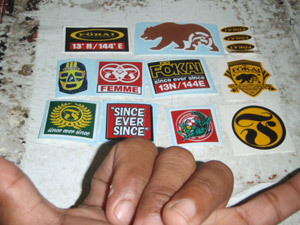 I’m trying to find some fokai stickers to represent here on the main land(New Mexico, USA) but I can’t find any. When are you guys gonna have some to order or can you guys hook it up. Let me know. Thanks. Fokai for life! !